I was at the Annual Farmer’s Market at Hill’s Market yesterday when I saw a girl wearing these boot. 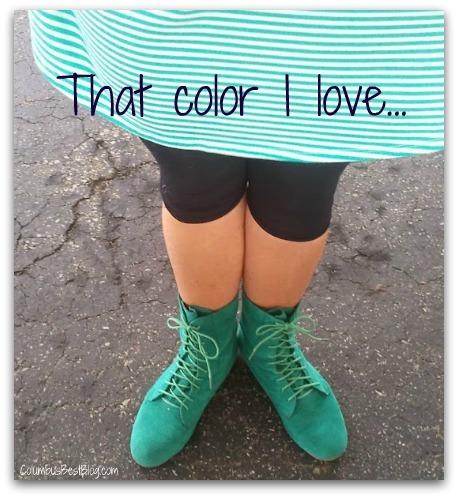 The boots and the stripes in her dress are “ That color I love… “ I asked if I could take a photo of them. She said OK.